This just might be one of the most beautiful steel Datejusts we’ve ever been lucky enough to catch. 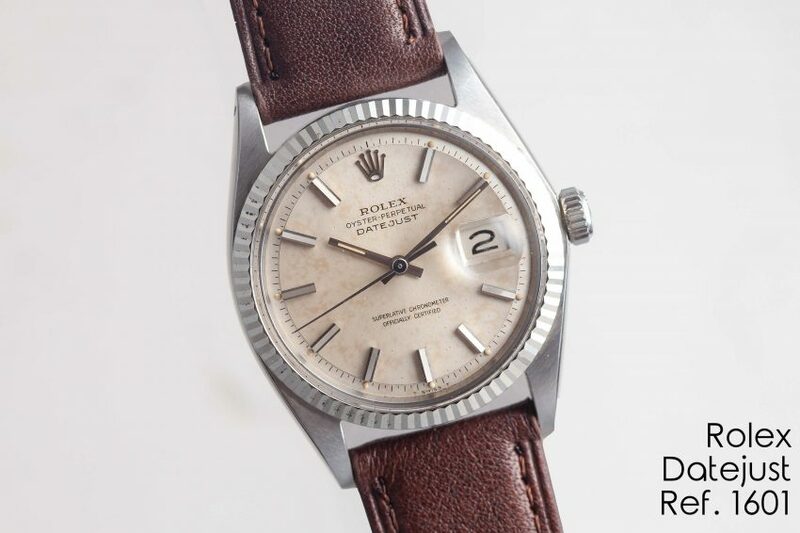 It’s white dial, after light and consistent exposure to the elements over its 45 years of life, has developed an absolutely stunning marbled effect. It’s subtle but completely unmistakable, and paired with its razor sharp Oyster case and white gold bezel, it’s an absolute gem.